Deliver your customers within few hours. 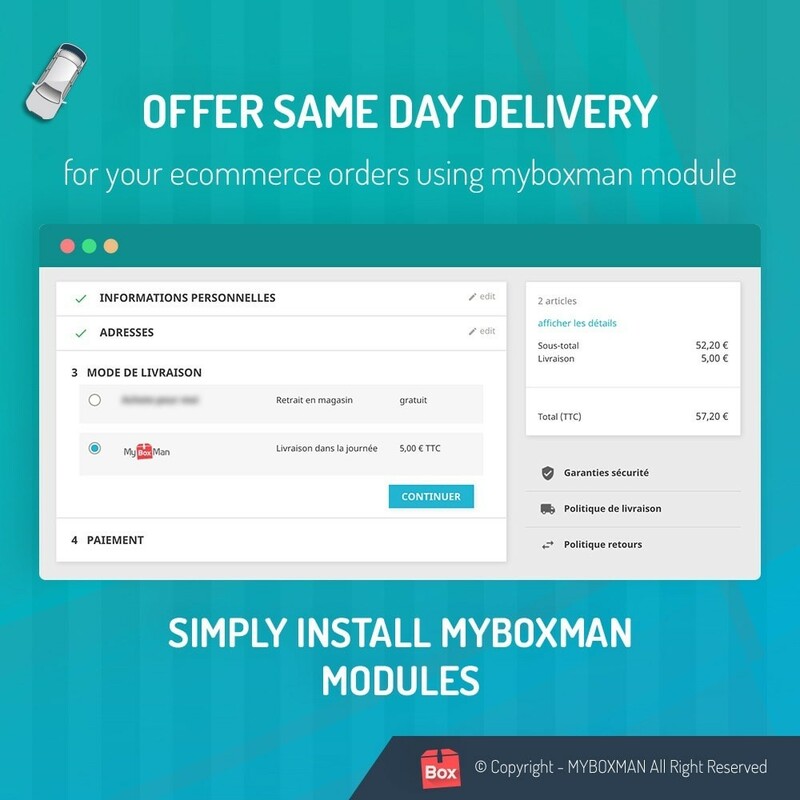 MyBoxMan can have seemlessly integrated in your online shop with few clicks. Deliver your same city customers same day. Fast delivery is key in getting more customers. With MyBoxMan you can improve sales and quality by promising express delivery within few hours. The service is fully integrated with your Prestashop. Manage your local deliveries through simple interface that be fully customize according to your needs.Beat the competition by fast local deliveries ! 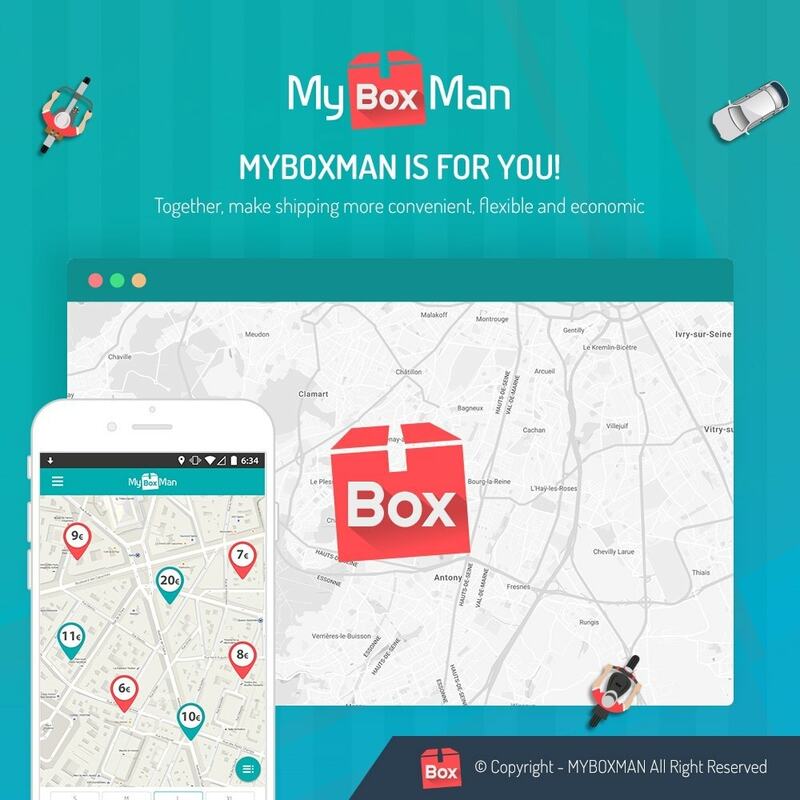 Automatic installation and configuration of MyBoxMan in carrier. Automatic price adaptation based on distance from customer. Pages to manage the deliveries and to set picking hours and dates. Pages to track the deliveries and to check history. MyBoxMan is official partner of Ford Motors. MyBoxMan service is available for all major French cities. The service is expanding in remote areas. Please do not hesitate to contact us if you have queries regarding your delivery in your local area. Express local deliveries in few hours. Dynamic pricing model based on distance (pay even lesser for short distances). Direct contact with delivery person via chat and telephone. 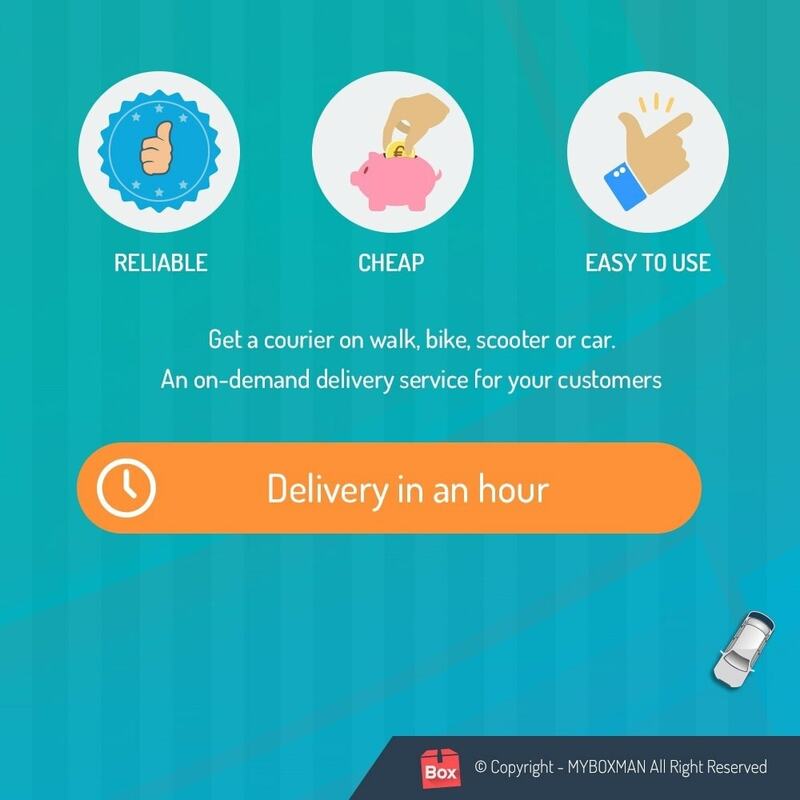 Deliver your customers even on weekends. Direct delivery from warehouses to the customer’s doorstep. Flexible pricing for size & quantity. You can use the module debug mode (in the configuration menu) to create fake missions and to test the integration before publishing it in real. Caution: Please be careful to use it only on in-development website as it will create a fake carrier that will not work. After installing the addon, you will be able to configure it via the configuration page accessible from the new entry in your menu. Once configured, the carrier will be displayed to the customers. 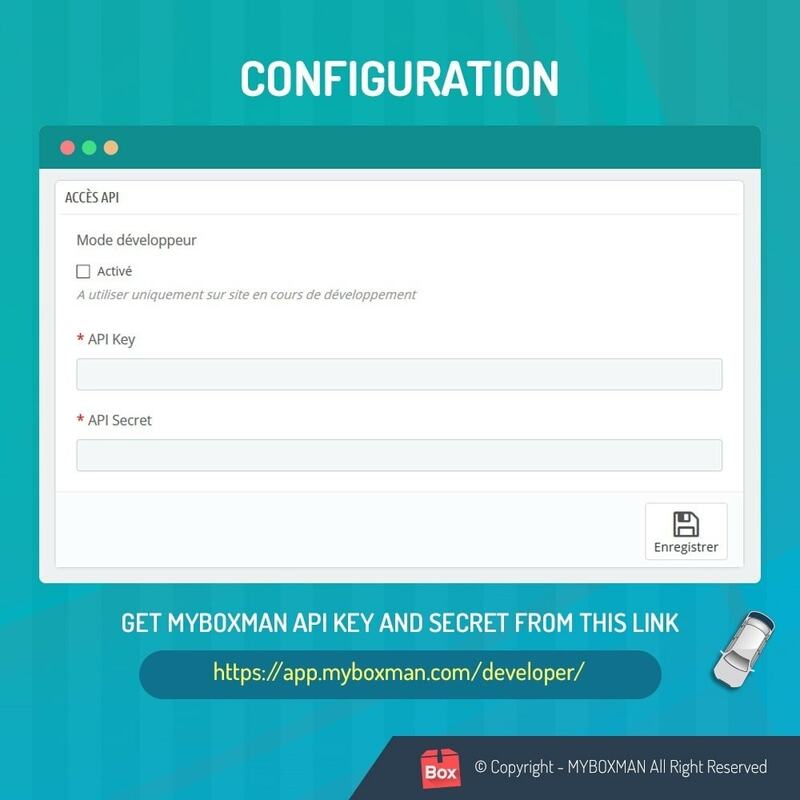 You will need to create an account on https://app.myboxman.com/developer/ and generate an api key to configure your account.